Students in the W.A.V.E. Academy at Dr. Edward L. Whigham Elementary School recently tested and reported on the local water conditions at Black Point Marina in Miami Dade County, Florida. Students used water testing kits that were donated by EarthEcho International, as part of the EarthEcho Water Challenge, to determine the pH and dissolved oxygen levels for the marina, which experiences high boating traffic and sits near the edge of a major Dade County landfill near Biscayne National Park. W.A.V.E., which stands for Whigham Aquatic Visionary Explorers, is an academy of 90 students in grades 2 through 5 who study the impact of people on aquatic environments and then work to educate others to make a difference in the community. Students have been inspired by EarthEcho’s book Make a Splash to identify local environmental issues that affect the environment. As a result, students have identified environmental factors such as water and land pollution as being a threat to the local wetlands and waterways. On February 3, 2018, the W.A.V.E. Academy will sponsor their 7th Annual World Wetlands’ Day Clean-up at Black Point Marina where students, families, school staff and community members will remove trash and debris from the coastal mangroves of Biscayne Bay National Park. 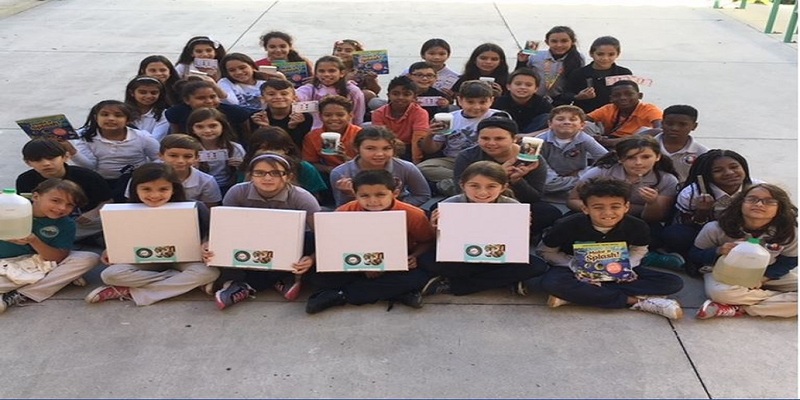 Thanks to the students and faculty at Whigham Elementary School, one of our 2017 EarthEcho Water Challenge Test Kit Donation Program recipients, for their participation in the EarthEcho Water Challenge and commitment to protecting their local waterways. Interested in applying for an EarthEcho Water Challenge Test Kit Donation for your class? Learn more and apply here. A special thanks to Xylem Watermark for making our Kit Donation Program possible!